The MSI takes a global approach to manage inventory so that merchants can deliver a seamless customer experience across various channels and locations. 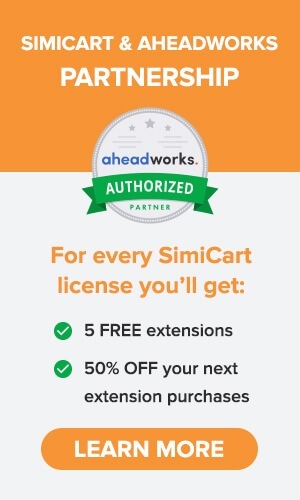 Previously, this capability was only available with the integration of a third party extension. Now Magento 2.3 allows merchants to manage stock via multiple fulfillment sources, right from the Admin Panel. With MSI, Magento users get to link inventory sources with one or multiple websites. This enables defining the nearest stock location to fulfill orders and tracking stock levels to support shipping or store pick-up options. In addition, inventory data can be synced to external order management systems via API. From Magento Admin, users can set rules to prioritize or automate order fulfillment for each website in real-time. As a brand new feature from Magento 2.3, Multi-Source Inventory helps merchants streamline operations to boost checkout performance and management efficiency. In the release, WYSIWYG editor is updated with the newer version of TinyMCE 4. This CMS enhancement allows for highly customizable editor with widgets, variables and media gallery. The use of dynamic blocks is also updated for Magento Commerce adopters. PageBuider provides a drag-and-drop interface for Magento Commerce merchants to create rich content and launch new pages quickly, with no HTML and CSS writing needed. Using this visual content editing tool, any user will be able to position content of all types from text, image to videos into the new page, and customize them to fine-tune page design. Page elements can be instantly previewed and ready to go live, allowing non-technical users to enrich content throughout the site without the help of a developer. The PageBuilder is made available only with the Magento Commerce version. For Open-source version, there are chances that it will be available for purchase from Magento Marketplace. Since the release of Magento 2.3 version, Magento has become a progressive web app platform with the PWA Studio. With the belief that PWAs are the future of web, Magento entered a collaboration with Google to provide a complete solution to build online stores as Progressive Web Apps. 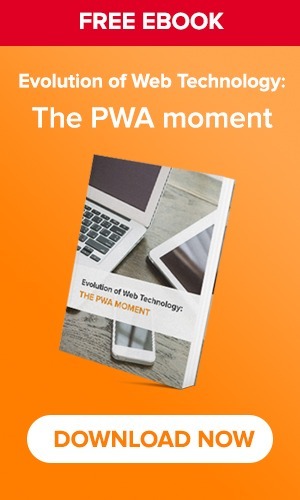 PWA Studio is a suite of tools provided by Magento to help developers learn PWA techniques, build lightning-fast PWA frontends, and create PWA components and extensions for reuse or sale on the Magento Marketplace. The tool set makes it easier to build and manage all channels and experiences via one code base, one deployment and app. These purpose-built tools allows for fast prototyping, helpful debugging, rich feedback, and increased productivity. Using PWA studio, developers will have all necessary tools to personalize content, add local preferences and implement CMS theming. With modularized component architecture, PWA Studio is intended to drive opportunities for extension resellers. Magento 2.3 proposes a new approach to simplify Magento installation and upgrade process. Before Magento 2.3, changing database schema can only be accomplished using InstallSchema and UpgradeSchema, which requires maintaining several different types of database scripts. A better solution is to use the Declarative Database Schema, which allows developers to fully define database changes via XML. In this way developers can have the system automatically adjust to the final state of database, eliminating the need to perform redundant operations. In 2.3 version, Magento decided to create a new set of APIs optimized for frontend development. GraphQL is the emerging approach to web services that empowers development of storefront experience. Newly integrated into the Magento system, GraphQL is a flexible and performant alternative API endpoint in addition to REST and SOAP web APIs. Magento storefronts using GraphQL will be able to fetch all data with a single request, which helps avoid sending excessive payloads on the network. By making fewer API requests, the new approach minimizes the amount of data, which is perfect to support Magento’s new PWA. Plus, it has introspection and auto-completion capabilities for an improved developer experience. REST API calls are also updated with community-contributed features like Asynchronous and Bulk Web APIs to support more efficient and scalable implementations. It gives Magento the ability to process a number of requests without waiting for the server to response. Several entities can be included in API request calls and performed in a queue if needed to make memory usage more efficient. This results in a faster performance, which is great for websites with bulk operations for customer, order, or inventory data import from third party ERP or CRM system. Full support of PHP 7.2 is a must-have feature that is now made available for the Magento Community in 2.3 version. Dropping PHP 7.0 support, Magento core code has been updated to eliminate PHP 7.2 incompatibilities. This update brings great benefits in terms of performance enhancements and security for Magento stores. As PHP 7.2 no longer supported mcrypt, Magento 2.3 has moved to libsodium module for PHP encryption. With the availability of new security tools, merchants will be able to better secure their stores without spending additional development budget. 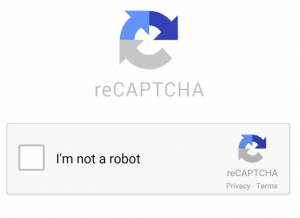 Google ReCaptcha and two-factor authentication have become the standards to secure websites from spam and abuse. Integrated with Magento 2.3, the ReCaptcha service by Google helps protect the main store pages, including login, registration, contact form, forgot password pages from bots. With its built-in mechanism, Google ReCaptcha uses advanced analytics techniques to detect spam-related activities on Magento sites. Meanwhile, Two Factor authentication add a second layer of security to the most vulnerable part of Magento backend, the admin panel’s login page. It protects admin panel against malicious attackers that have got a password by requiring users to verify their logins via sms, phone call,..
Until the release of Magento 2.3, Elastic Search was only available for Magento Commerce users. Now the advanced search function has been extended to Open Source version as its default search engine. Any Magento 2.3 user can integrate powerful search capabilities into their web shops, including fast, relevant searches and attribute filtering, without the need for a third party extension. The granular Cache Management ACL allows admin to define which user roles can both view and mange the system cache. Given a growing number of users, the ability to better control cache-related user actions can prevent accidental changes that potentially damage web performance. For other details, check out more improvements and minor bugs fixed in the latest release notes for Magento 2.3.0 Open Source and Commerce.